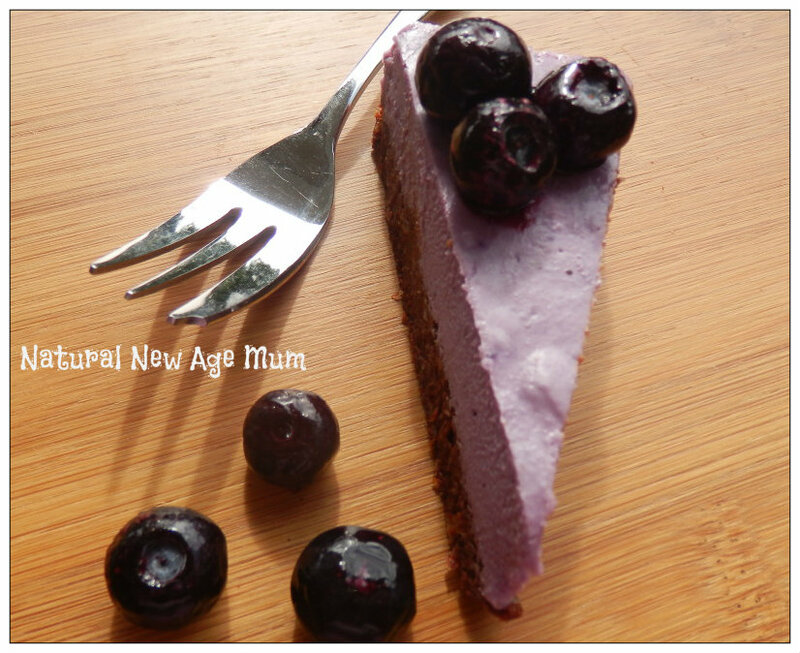 Berry Coconuty Cheesecake – so healthy! I have had a life-long love affair with cheesecake. My mum used to make an awesome mango cheesecake, sweet and rich! Unfortunately, all that sugar, dairy and wheat just doesn’t love me anymore. 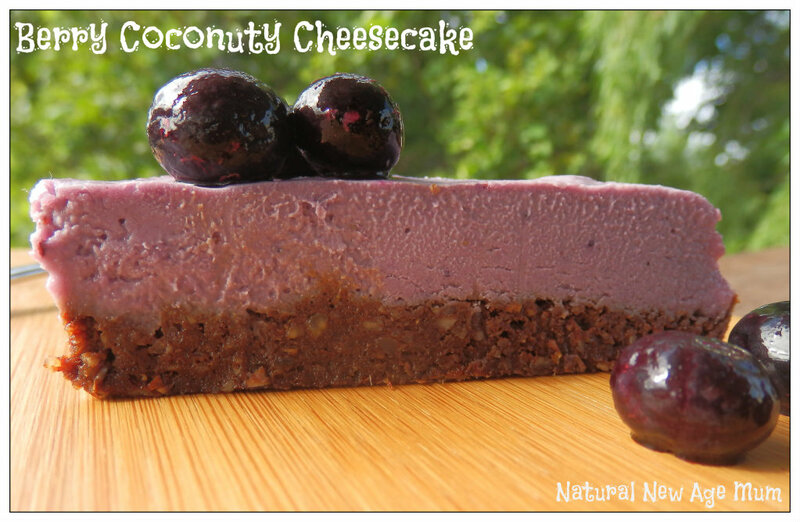 Recently, I started hearing about all these healthy people making ‘raw’ cheesecakes. Now to be honest, when someone said ‘raw food’, I wasn’t exactly that excited. It just didn’t really appeal to me. It sounded weird – hippy food! Until I tried it – if this is what raw food tastes like, count me in! I have made a few different ‘cheesecakes’ now, but this one I made up at Easter time, inspired by this recipe, is my favourite. It’s so darn healthy, I would serve it up to my kids for breakfast! It’s raw, vegan, dairy-free, gluten-free, sugar-free, high protein, low carb. The best bit though……. it tastes flipping amazing!! Try it, tell me what you think. * Why would you soak your nuts? Good question. Not only does it make the nuts softer and easier to process, soaking makes nuts easier to digest. Read more here. If you can’t manage overnight, at least do a couple of hours of soaking. Use filtered water. Drain the almonds well and place in your thermomix (or food processor) with the dates, cacao powder and cinnamon. Blitz until it forms a crumb and is sticking together a little. Add a touch of filtered water if needed. Press the cheesecake base into the dish, smoothing it with the back of a wet spoon. Place in the fridge. Now, fling the rest of your ingredients into the thermomix or food processor and blitz! It should be very smooth and creamy. Keep going until it’s a nice texture! Use the water if it’s looking a bit too thick. Pour this mix onto the base. Put some cling wrap over it and chuck into the freezer. Leave it overnight or at least six hours. To serve, take it out of the freezer for about ten minutes and cut into slices. You could serve it with some fresh berries or even make a berry sauce with some more berries and honey, thickened with cornflour. I find you only need a small serve. The nuts in this ‘cheesecake’ make it really filling. Now, if you are keen to get into this ‘raw cheesecake’ craze, you could also try this recipe from the beautiful girls at Like Chocolate for Women. Or try my mango version of this recipe. I love comments. Do you have a recipe for a raw cheesecake? Do you love raw cheesecakes? Talk to me. I’ve never made cheesecakes before, never baked though and not with clean ingredients as this, so I shall be making this tonight for when catching up with friends tomorrow. Guilt free, stress free. A friend made me a raw chocolate cake on the weekend for my birthday, Amazing! I felt great afterwards, not sickly, makes for a nice change. Hi Lea! I hope you like it! The raw choccy cake sounds amazing! I have experimented with some raw chocolate brownies and such too…. will have to perfect and blog! I am always satisfied with a tiny piece too! Oh yes…I am drooling! This looks delish. I haven’t tried a raw cheese cake yet…also saw a recipe for a raw brownie that looked pretty good. I am loving raw ! It’s a great way to get some good nutrition in a tiny bite! my kids do love it, hope yours do to ! It is so yummy Rachel ! I am addicted ! Thank you for the recipe! I love cheesecake and a healthier version is what I need while I’m trying to lose some baby weight. you really only need a small slice too Karen, because it is so filling ! Hope he likes it Tracey – my hubby loves this one! Hi, I’m new to your blog. Just found it through facebook, loving it so far!! I’m going to try this recipe on the weekend… looks delicious. I don’t have xylitol though, is there anything I can use as an alternative? Could I use agave syrup instead? If so, how much? HI Sally. You could use honey or agave. I would use similair amounts or use a bit less, test the mixture and add more until it tastes sweet enough for you. 🙂 Let me know if you like it. I’m loving this BERRY COCONUTY CHEESECAKE! I think I can try this recipe this weekend, perfect for birthday party! Thanks for this article!